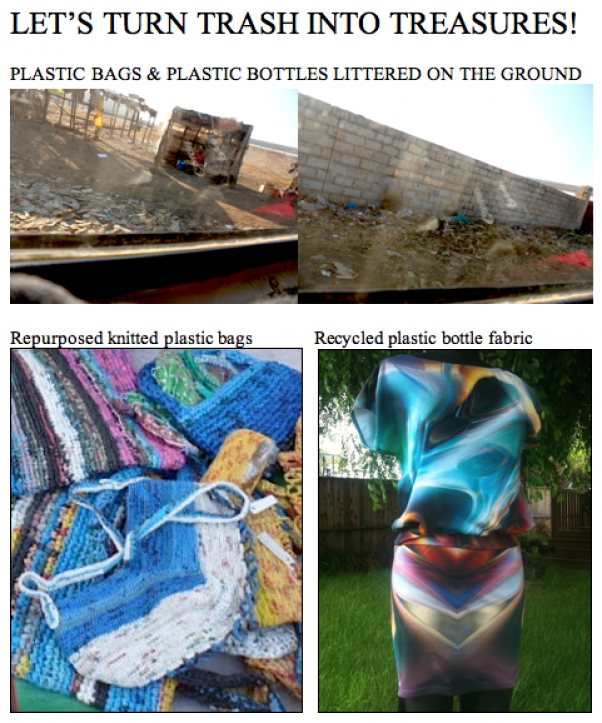 I initially came across Taryn Hipwell through a social networking site and loved her project from the beginning as it has brought environmental issues of waste reduction in Africa and fashion together in one place as well as education. Taryn is originally from Pittsburgh, PA, where she grew up climbing trees, planting flowers and re-designing dresses from a very young age. She studied design, construction and art therapy at the School of the Art Institute of Chicago, worked for designer Anna Sui in New York, and styled films, photos and celebs, while assisting fellow Eco-geek producer/director David Zucker in Los Angeles. Recently she created jungle inspired club wear for Zambia’s first ever completely green music video Uber Super Feeling by pop star Kachanana, which Taryn produced and directed. 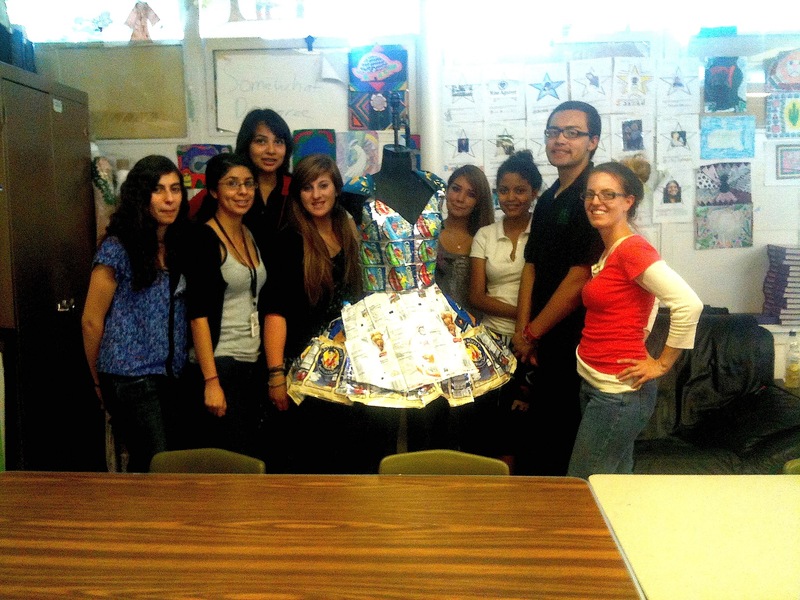 Taryn has taught “Sustainability and the Fashion Industry” at San Francisco State, Michigan University and Fashion Institute of Design and Merchandising. She also teaches “Eco Fashion”/“R’ashion”/”Repurposed Fashion” at Environmental Charter High School through Youth Policy Institute, YEN Zambia (Youth Environmental Network) and at Hollywood Media Arts (a school that helps at-risk young adults get off the streets). R’ashion means – recycled fashion and R’ashion Camp Zambia is a recycled fashion exchange program. This fashion project is based in Lusaka, Zambia and was set up by Taryn Hipwell (in Los Angeles) and Billy Lombe (in Lusaka, Zambia). For Taryn it was a unique opportunity to create a camp that educates students in the US and Africa about the environment through recycled fashion and so R’ashion Camp Zambia was born! I (Taryn) envisioned R’ashion Camp Zambia on a teaching trip this summer with Billy Lombe aka Mr. Green. Billy and I met on a Habitat for Humanity build in Zambia in 2006. Billy established a non-profit organization called YEN Zambia (Youth Environmental Network) in 2007. I established EcoDivas LLC and http://www.EcoDivasTV.com in 2009. The two of us will be combining forces, networks and our passion to educate about the environment through fun activities both in the US and Africa, and now its time to share. 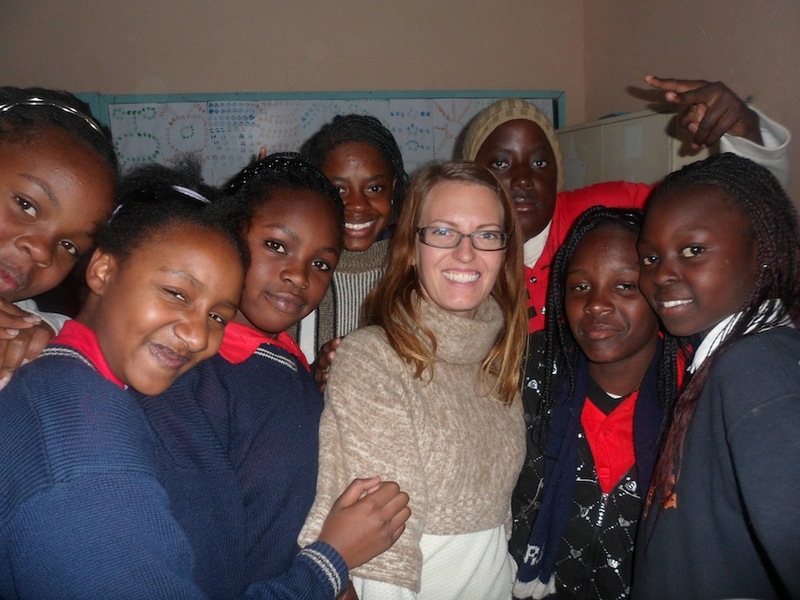 I was showing a group of students in Zambia a sweatshirt made from recycled plastic bottles. I quickly realized this was an incredibly accessible and interesting way to educate about waste management and sustainability. Fashion! Because around the world, we all care how we look so why not bring together fashion and the environment. So much waste is tossed away every year around the world and so Taryn was seeking a way of re-using plastics that helped beautify our world, taught job-skills and provided income to communities that need it the most. And so she uses R’ashion Camp Zambia to help a country turn the trash that pollutes it into vibrant, wearable fashion and therefore take care of people whilst taking care of the environment. Zambia, like many countries in Africa, is being buried under waste. Plastic bottles litter streets and clog valuable waterways. R’ashion Camp Zambia is an educational camp for aspiring Zambian designers to learn how to re-use the material pollution that plagues the country by turning plastics into fabrics that can be sewn, woven or beaded. Fashion which can be sold online to tourists and to locals, which will provide needed monies to Zambian communities. 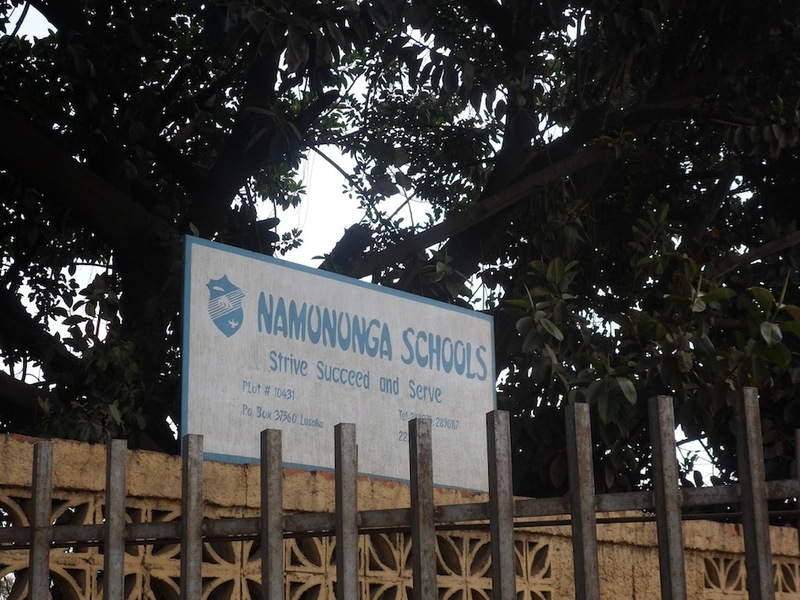 Presently they are raising funds to go towards securing a location near Lusaka, hiring staff, building a functional workspace, lodging and hot showers. They envision an exciting cultural exchange! In a Tom’s Shoes (One-for-one program) meets Habitat for Humanity (encourage friends to contribute fundraiser) format…for every US designer, teacher and/or student that raises funds to participate in the camp, a Zambian designer, teacher and/or student will be given the opportunity to participate at R’ashion Camp Zambia. Students and teachers from the US will be working side by side with indigenous and modern Zambian fashion designers and students! 1. Unnatural Resource – Zambia’s landscape is littered with plastic bottles. One big problem for Zambia is flooding from trash getting caught in drainage ditches, which blocks the flow of water to villages. 2. Natural Resources – The famous Victoria Falls and Zambezi River are both located in Zambia, which allows the country to grow a lot of food. Local farmers grow bamboo, banana trees and corn. Much of the inedible waste from these foods can be used for their cellulose fibers to be woven and recycled into biodegradable Eco fabrics. 3. Economic shift – The World Bank recently reclassified Zambia as a lower-middle income country, which has boosted outside investors’ confidence in the growth potential of its economy. Zambia is developing and R’ashion Camp Zambia is designed to empower young, motivated leaders to share their cultural heritage, and teach them how to design, manufacture and market recycled clothing, accessories and fabrics to be sold around the world. 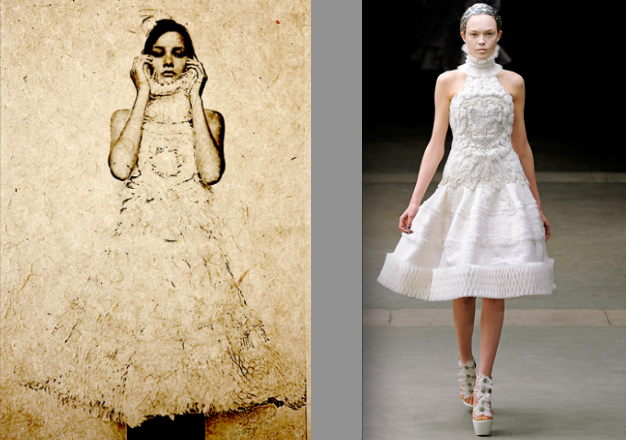 Taryn’s unique repurposed designs can be seen on HGTV’s the Antonio Treatment – a Kimono quilt and Mexican blanket pillows; and in PAPER Magazine – a tissue paper Alexander McQueen replica dress. She is also very proud of her R’ashion class at ECHS for designing an Alice in Wonderland dress out of chip wrappers and juice containers. Taryn has been featured in the movie Hot, Rich and Green, on Current TV and in Huffington Post in the US. She’s been a special guest on Zambia’s #1 entertainment talk show Smooth Talk and on Q FM, so that she could share with the whole country what Recycled Fashion is and why it’s important for Zambia’s economy and environment. It’s intiatives such as these that we are proud to share at Africa Fashion Guide for the development aspect of how it positively affects the community and the environment. If you have a project or initiative with a similar aim please do share it with us. Email us at info@africafashionguide.com, we would love to hear y our story too.